It’s hard to discuss science communication without mentioning Carl Sagan. To this day, he remains the quintessential example of the public intellectual. Few, if any, examples of science communication have ever been as successful at connecting scientists and the general public as Sagan’s Cosmos: A Personal Voyage. It took complex scientific knowledge and presented it in a way that was both accessible to viewers, as well as compelling and enjoyable to watch. Through Cosmos, Sagan influenced not only the way we think about our place in the universe, but the way that we understand science itself. 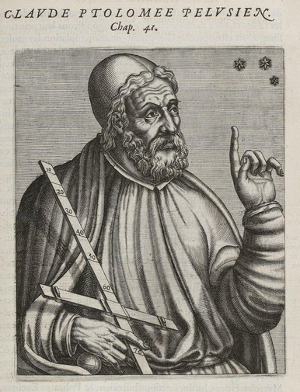 …and there was the astronomer Ptolemy, who compiled much of what today is the pseudoscience of astrology. His earth-centered universe held sway for fifteen hundred years, showing that intellectual brilliance is no guarantee against being dead wrong. This attitude toward Ptolemy is certainly not uncommon, but its mention in one of the most important pieces of public science communication deserves some mention. While Ptolemy did write books on astrology (as well as geography, optics, and harmonics), these were far less comprehensive and influential than his treatise on astronomy (or his work on Geography, for that matter). 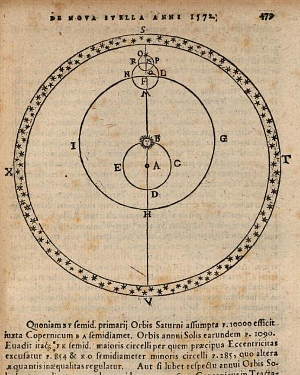 As such, it is most likely Ptolemy’s Almagest, which describes the geocentric “Ptolemaic” model of the solar system that earned him the place of the villain in Sagan’s list of ancient scholars. Of course, Sagan’s rebuke makes Ptolemy sound less like a scholar than like a sorcerer, fervently penning lies in some dark tower. How did an astronomer become so reviled almost two thousand years after his death? After all, no one would refer to Newton as a failed alchemist who was unable to grasp general relativity. Since we know relatively little about Ptolemy’s life, it’s probably more productive to look for the answer at the end, rather than the beginning, of his astronomical model’s millennium-spanning reign. While the Ptolemaic system was the dominant scientific model for understanding the universe for hundreds of years, it is mostly known today as the unscientific model from the Galileo affair. The standard version of the story, which I remember being drilled into me since elementary school, is simply that Galileo was persecuted by the Church for teaching science that contradicted its own dogmatic view of the universe. On one side, we have Galileo, science, and Truth. On the other, we have the Church, the Pope, and their dogmatic geocentric theory. Ptolemy of course, had been dead for centuries, but is generally judged as guilty as the rest of the anti-science camp, as if he had been briefly brought back to life merely to stand with Galileo’s other accusers. And really, how could he not be guilty? The Galileo affair is a rhetorical hammer of the finest quality. The Galileo affair, whether it is discussed amongst particle physicists or in my fourth grade science class, has transcended its status as a mere historical event and become a legend. To oppose Galileo is to oppose reason itself. Tradition, authority, vox populi – all of these things conspired against him, but in the end, he triumphed. Those who stood against him, even metaphorically, were proved to be “dead wrong.” It should be no surprise, then, that this hammer is wielded quite liberally by groups that are both extremist and unpopular. Ironically, the groups that fall into this category are more often than not decidedly antiscience. The tension between science and antiscience is one that comes up frequently in the sociology of science. Indeed, the mere suggestion by sociologists that science was influenced by cultural, political, or economic factors ignited the “Science Wars” of the 1990s, during which many of these sociologists were labeled as being antiscience or anti-intellectual. While these debates could certainly get quite heated, they generally stayed within academic communities. A more concerning development for most sociologists was when they saw their arguments being appropriated by “conspiracy groups” seeking to take areas of scientific consensus and disrupt them with manufactured debate. While Latour’s concern was people placing important ideas like global warming in the fairy category, Ptolemy bashing can be seen as an example of the opposite – taking the complicated and nuanced Galileo affair and rendering it an unquestionable historical fact. In either case, essentializing seems to do little to help the cause of science or quell the conspiracy theorists. Instead, what if we try to get closer to the facts through critique, as Latour suggests? So how does this analysis of astrophysical debates shed light on the antiscience debates of today? Of course, these debates can still be compared to the Galileo affair, but if we understand the affair as a deeply political situation that occurred in the context of a crumbling scientific paradigm, we get a different reading of our current plight. Debates about global warming, for instance, are certainly political, but they’re not happening in the midst of a scientific crisis. The current paradigm of human-influenced climate change does a pretty good job of explaining what’s happening. If anything, the comparison paints detractors not as modern Galileos, but modern Ludovicos, trying desperately to resist a momentous discovery that threatens their power. Likewise, understanding that science has a historical, cultural, and political context doesn’t weaken scientific thought. It does, however, make artificial debate about scientific theories being “not settled” seem rather silly. A handful of scientists opposing a stable paradigm isn’t a scientific crisis and it certainly isn’t unusual. Refusing to act on scientific knowledge until it stands unchallenged makes about as much sense as waiting to move out of oncoming traffic until you can feel the cars. If our aim is to further the cause of science and quell its detractors, dividing scientists into immaculate heroes and devious villains is probably not the most productive way to go about it. I would rather we understand science in all its gritty details so that we can better understand how to get through the gritty details that stand in our way today. 1. Why has Critique Run Out of Steam? From Matters of Fact to Matters of Concern. Bruno Latour. 2. Galileo and the Council of Trent: The Galileo Affair Revisited. Olaf Pedersen. 3. The Structure of Scientific Revolutions. Thomas Kuhn. 4. 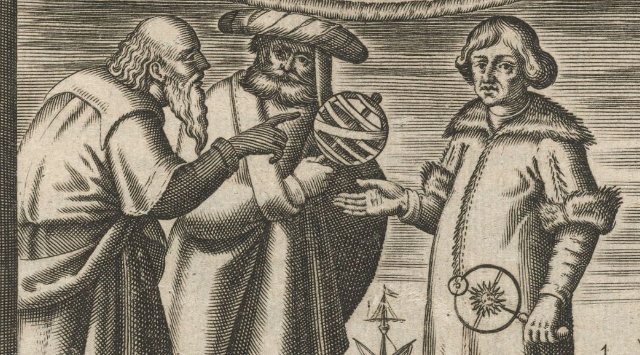 Kepler’s Move from Orbs to Orbits: Documenting a Revolutionary Scientific Concept. Bernard Goldstein and Giora Hon.